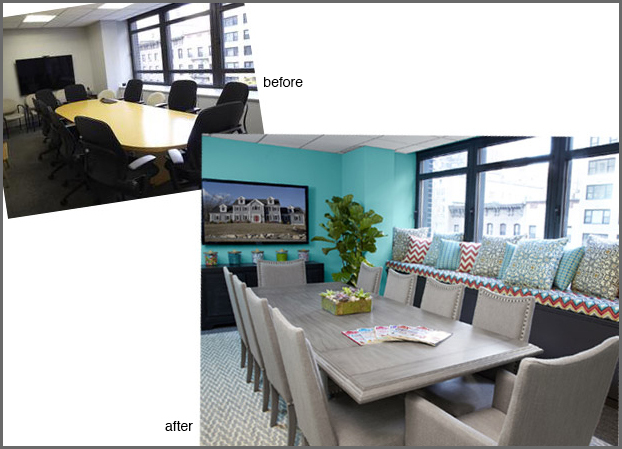 The HGTV Magazine staff started out the New Year with a refreshed, refurnished, and revamped conference room! 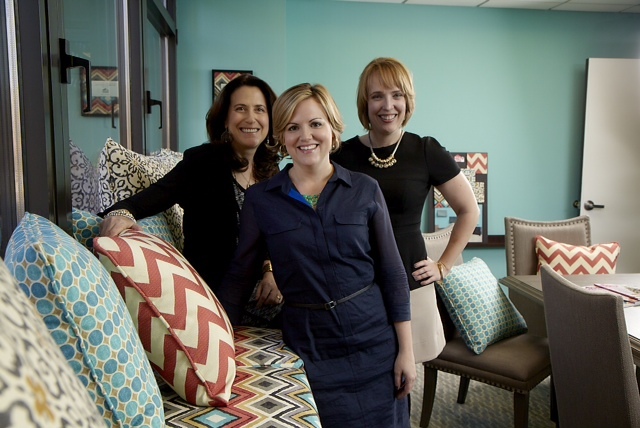 All thanks to our friends at HGTV HOME! The redo experts took our boring office space, and transformed it into a stylish, colorful, and cozy spot for meetings, brainstorming, and okay, a little partying! Check out our before and after pictures below. 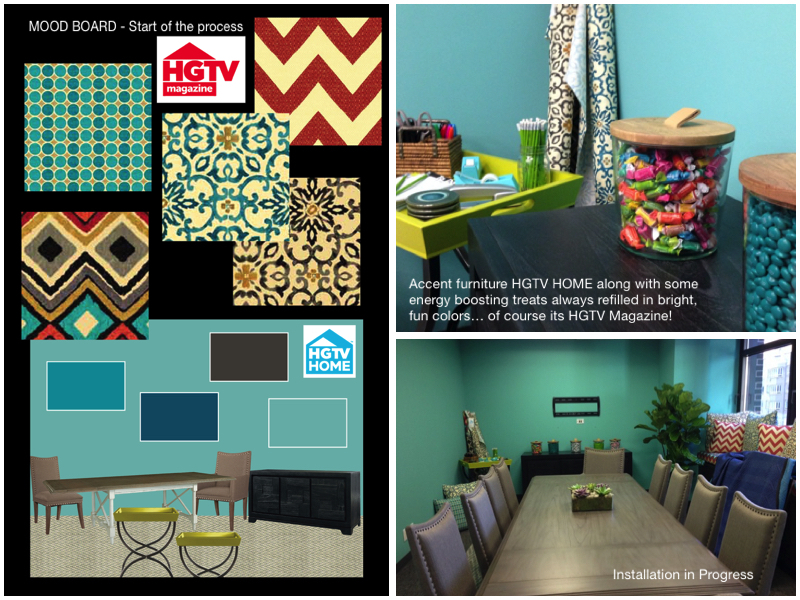 Plus find details on specific paint colors, fabric patterns, and more HGTV HOME furniture and products used in the makeover. HGTV HOME by Sherwin-Williams in Cooled Blue (SW 6759) on the walls, and Sealskin (SW 7675) underneath the window seat. This entry was posted in Blogs, Bold Color, Bright Color, Color, Color Trend, creativity, Design, Design Works International, Fusion, Global, Global Prints, HGTV, HGTV Magazine, HGTVHome, Home, inspiration, Interior Design, Magazines, Mixed Fabric, Nancy Fire, New York City, NYC, original textiles, pattern, print, print & pattern, Product Design, Surface design, surface designer, TBT, textile designer, Textiles, Textures, Throwback Thursday, Trend Blogs, Trend prediction, Trending, Trends, Uncategorized and tagged Bold Color, Color Trend, Design, Design Works International, Furniture, Fusion, Hearst Publications, HGTV, HGTV Magazine, HGTVHome, Home, Inspiration, Interior Design, mixed fabrics, Nancy Fire, New York City, NYC, pillows, Product Design, Sara Peterson, Style, Surface design, TBT, Textiles, Throwback Thursday, Trend Blogs, Trend prediction, Trending, Trends by Design Works International. Bookmark the permalink.